Columbia is a friendly and welcoming city with a thriving downtown, multiple colleges, and the University of Missouri. Columbia is home to many unique festivals like the Roots N Blues N BBQ Fest and the True/False Film Fest. There is also a huge variety of restaurants including Good Morning America’s “Best College Hangout” winner, Shakespeare’s Pizza. Columbia has gardens, 3,000 acres of park land and over 50 miles of trails; live music venues; art galleries, theatres and museums; plenty of shopping opportunities; and historic sites. Not to mention, Columbia is centrally located and has multiple nearby towns perfect for day trips. 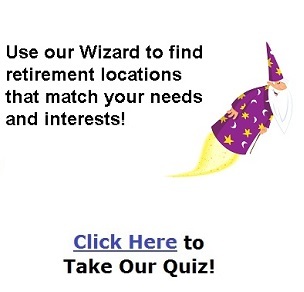 Columbia is an ideal community for retirement. Retirees are especially attracted to the youthful spirit of the community, the clean environment, availability of healthcare, and the many educational and recreational opportunities. Seventeen percent of Columbia's population is comprised of individuals over 50 years of age. Columbia is the perfect place to get outdoors. 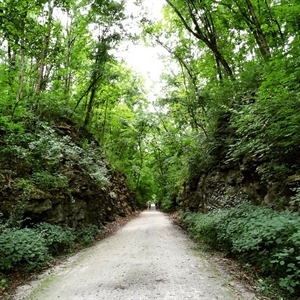 The city has 70+ parks and over 50 miles of trails for walking and biking, and there are several state parks and conservation areas just outside of town. There are four golf courses, multiple city pools, tennis courts, ball fields, and more. Would you rather watch sports than participate? The University of Missouri, Columbia College, and Stephens College offer a large selection of sporting events to attend. There is a large mall with department stores (JCPenney, Dillards, Sears), many grocery stores including three WalMarts and three HyVees, and several shopping districts home to Macy's, Dicks Sporting Goods, Bass Pro, Kohl's, and more. Columbia also has a variety of pet shops and veterinarians so your furry friend will be happy, too! You can find unique, local shops downtown, along with a huge variety of restaurants. What else can you expect to find in Columbia? Three movie theaters, bowling alleys, several breweries, fitness facilities, fishing ponds and lakes, and over 10 major festivals including Roots N Blues N BBQ and the True/False Film Fest. With two major colleges and the University of Missouri, Columbia has no shortage of live theatre, music, lectures, and art galleries. The public library houses current fiction, non-fiction, magazines, music CDs, DVDs, audiobooks, and more, along with programs for adults and children. Columbia has many museums like the Stephens College Historic Costume Museum, the Museum of Art and Archaeology, Museum of Anthropology, State Historical Society of Missouri, and the Walters-Boone County Historical Museum and Galleries. Art festivals and music series' include First Fridays in the North Village Arts District, Shelter Gardens Concert Series, University Concert Series, Art in the Park, 'We Always Swing' Jazz Series, Odyssey Chamber Music Series, and Hot Summer Nights Music Festival. CoMo Connect provides bus, Para-Transit and University Shuttle services to the City of Columbia, MO. OATS, Inc. provides reliable transportation for transportation-disadvantaged Missourians so they can live independently in their own communities. Columbia has a variety of rental car businesses and taxi services, and has a Greyhound Bus stop. Amtrak is located in Jefferson City, just 30 minutes away. Columbia Regional Airport is currently served by American Airlines and offers convenient non-stop flights from Columbia to Dallas/Fort-Worth and Chicago O'Hare. If you need to fly out of a larger airport, St. Louis and Kansas City are both only an hour and a half away, and MO-X provides ground transportation to the Kansas City Airport and the St Louis Airport. Columbia's sizable medical network provides mid-Missouri, and the entire state, with the highest quality healthcare. The city's medical population brings positive economic influence, attracts medically related industries and provides residents with progressive medical services comparable to those offered in cities many times its size. Some of the specialized services include a children's hospital, a residential school for the mentally handicapped, comprehensive care nursing homes, fully accredited rehabilitation services, a Ronald McDonald House and the services of visiting nurses. Jan 18.2 F° 27.8 F° 37.4 F° 1.7 "
Feb 23.4 F° 33.6 F° 43.9 F° 2.2 "
Mar 33.0 F° 44.0 F° 55.1 F° 3.2 "
Apr 42.9 F° 54.4 F° 65.9 F° 4.2 "
May 52.8 F° 63.7 F° 74.6 F° 4.9 "
Jun 61.8 F° 72.7 F° 83.6 F° 4.0 "
Jul 66.3 F° 77.5 F° 88.6 F° 3.8 "
Aug 64.0 F° 75.7 F° 87.3 F° 3.8 "
Sep 55.4 F° 67.3 F° 79.1 F° 3.4 "
Oct 44.1 F° 56.0 F° 68.0 F° 3.2 "
Nov 33.0 F° 43.2 F° 53.4 F° 3.5 "
Dec 22.5 F° 32.0 F° 41.5 F° 2.5 "
Spring brings rain and thunderstorms to Columbia but that also means beautiful flowers all over town. Summer is typically hot and humid - perfect for swimming. Fall brings cooler temperatures but Missouri is also known for its unpredictable weather; sometimes the warm weather extends into fall and other times winter (and snow) comes early. Condos Over 50 Communities With the colleges in Columbia, there are tons of options for rentals in town. There are also several assisted living communities, retirement communities, and senior living options. Home care Senior center Visiting nurses Columbia provides the perfect home for seniors with so many amenities to take advantage of. Find more information here: http://medicine.missouri.edu/aging/uploads/Services-For-Seniors-Directory.pdf. The Senior Center offers activities like crafting, zumba, bridge, yoga, woodcarving, line dancing, and bingo. Columbia Parks and Recreation has a Fifty Plus Program, which also provides a variety of activities for seniors.